HMS Glatton. IWM photograph SP 2595. A weapon with an interesting history. These were originally designed and the first three completed by Elswick as 24 cm/50 (9.45") Pattern 'E' guns. These guns were to be used on the Norwegian coastal defense ships Bjöergvin and Nidaros which were then under construction by Armstrongs. At the start of World War I, the ships were taken over by Britain and renamed HMS Glatton and HMS Gorgon. The existing guns were then relined down to 9.2" (23.4 cm) in order to use standard ammunition and three additional guns were completed to this caliber. The actual bore length after relining was 51.35 calibers. These weapons were some of the longest ranged guns in the world in 1918, exceeded only by the 18" (45.7 cm) guns used on the monitors HMS General Wolfe and HMS Lord Clive. A total of six of these 9.2" (23.4 cm) guns were made, but two were lost when HMS Glatton suffered a serious fire and was scuttled in Dover Harbour in order to prevent a magazine explosion. 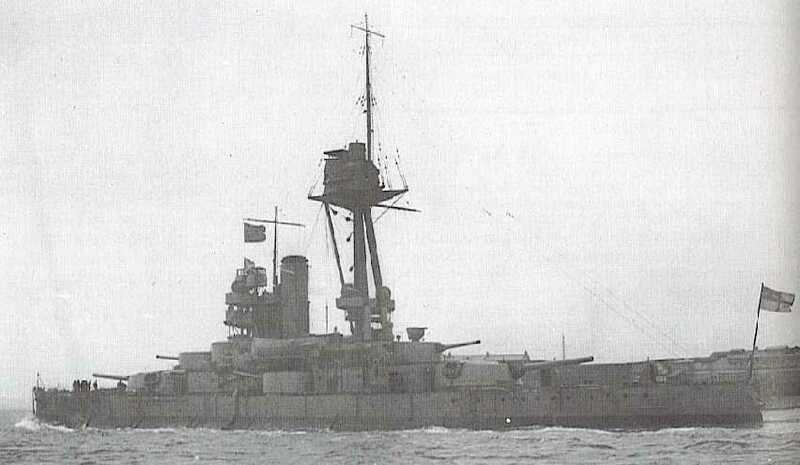 HMS Gorgon was scrapped after the war and the remaining four guns were offered to the Army in 1922. This offer was declined and the guns were scrapped in 1923, a decision that might have been regretted in 1940 when there was a great need for long range guns for the defense of Dover. Construction was of a normal wire-wound type with tapered inner 'A' tube, an outer "A" tube, wire-winding, B-tube over the muzzle portion and a jacket over the rear portion. Relining to 9.2" (23.4 cm) made them slightly stronger, which allowed a smaller chamber and thus higher gas pressures. These guns used an Elswick 3-motion short-arm breech mechanism. The last two guns differed in having a thicker 'A' tube and a thinner 'A' tube along the chase and were completed in 1921. Nomenclature Notes: The 9.2"/35 (23.4 cm) Mark XIII was an Army Railroad gun of World War I with about 23 guns being built. Some saw service during World War II and new guns were planned at that time, but none were completed. The 9.2"/45 (23.4 cm) Mark XIV was a Vickers gun intended for a cancelled Italian armored cruiser. These were similar to Elswick Pattern "H" used in the Greek cruiser Averov, except that the wire-winding extended for half the barrel length rather than the entire length. Four guns were built, three being used during World War I as Railroad guns and the other on the Vickers range. The 9.2"/46.7 (23.4 cm) Mark XV was essentially an updated Mark X. This was intended to be used in twin coastal defense mountings. Some 36 guns were ordered and at least a few were proofed, but it appears that none saw service use. Cost of each 24 cm (9.45") gun was about £6,000. The original 24 cm (9.45") projectile would have weighed 419 lbs. (190 kg). Muzzle velocity was 2,900 fps (884 mps) using a 144 lbs. (65.3 kg) charge. These projectiles were required to be able to penetrate 8.75 in (22.2 cm) of Krupp cemented (face hardened) armor at 7,650 yards (7,000 m). CPC projectiles were to cost £15 each and the charges £11 each. ^The 8crh round may actually be a 5/10crh round. ^"Big Gun Monitors" states that after firing 200 rounds, most with supercharges, "the guns were already half-worn [out] by October 1918." ^At least six ready rounds were carried in the gunhouse. These turrets were hydraulically operated. The ammunition hoist carried both projectile and cordite bags. These were delivered to the left side of the gun. The projectile was then moved onto a loading tray which swung around to the breech, in line with a hydraulic rammer. ^Original maximum elevation as a 24 cm (9.45 inch) gun was +35 degrees. HMS Gorgon in 1918. The 9.2"/51 (23.4 cm) guns are in the bow and stern mounts. Note the high mainmast and that it was in the path of the funnel gases. IWM (CPL) Photograph. HMS Gorgon in early 1919. 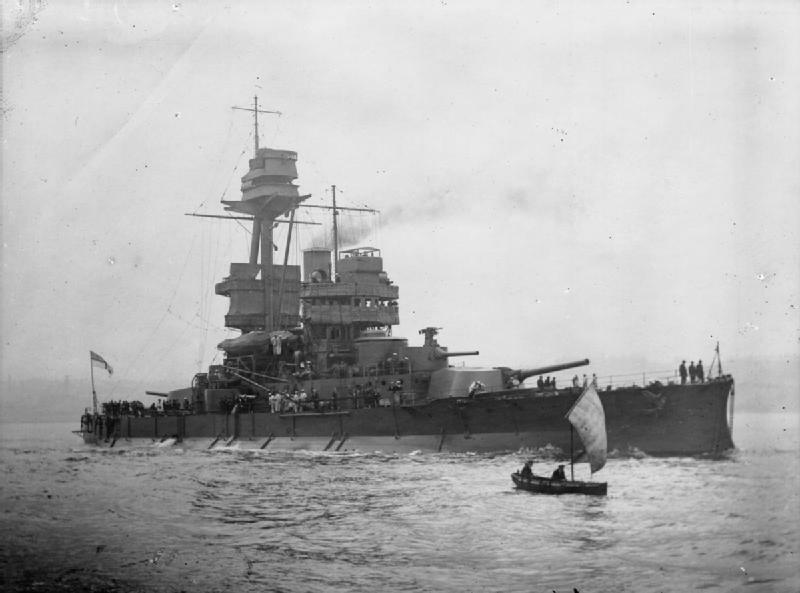 Gorgon remained in commission after the war to aid investigations into the loss of sister-ship Glatton.